From our friend Daev Roehr via Facebook. 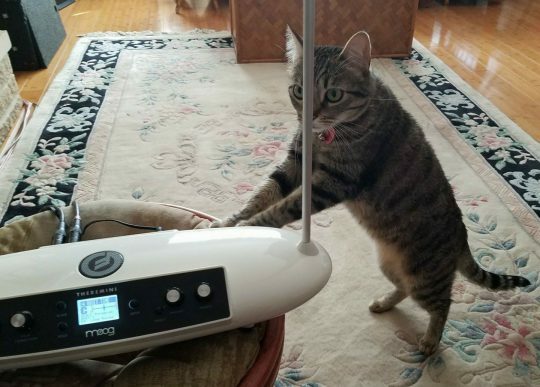 Posted on February 26, 2018 by catsynth	This entry was posted in Cats, Featured, Synthesizers and tagged cat, kona, moog, Synthesizers, theremin, theremini. Bookmark the permalink.